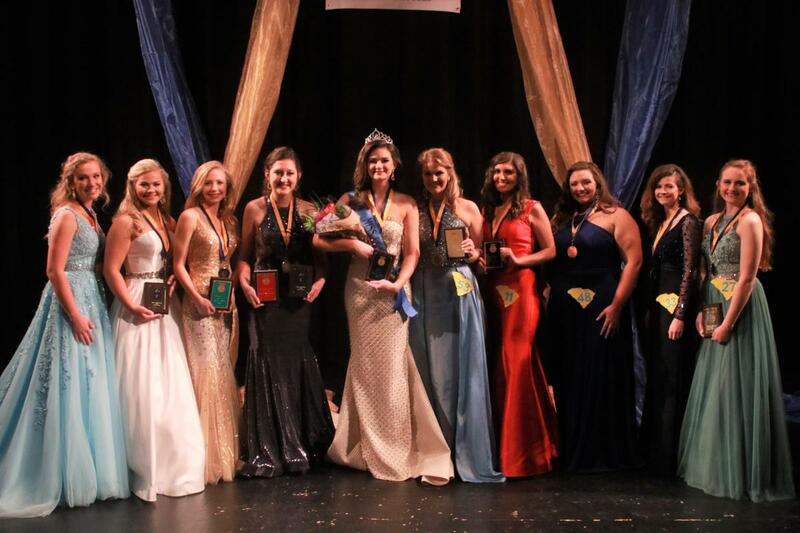 The B-L High School FFA chapter hosted the annual Miss FFA pageant at the Lexington County School District Three Fine Arts Center on March 15th. The B-L High School FFA chapter hosted the annual Miss FFA pageant at the Lexington County School District Three Fine Arts Center on March 15th. The event marked the 11th year that B-L High School has hosted the pageant. A total of 56 sophomores, juniors and seniors from around the state competed in a variety of competitions including application scoring, interview, and evening gown presentation. In addition, young ladies who were selected for the Top Ten were also judged on their response to an on-stage question. Congratulations to Sydney Gambrell from the Pendleton FFA chapter on winning the title of Miss FFA 2019. In addition to a beautiful crown, plaque, flowers and sash, Sydney also received a $500 scholarship courtesy of AgSouth. 1st runner up was Kylie Cathcart (Lexington-Richland 5 FFA); 2nd runner up was Hadley Smith (Pendleton FFA); 3rd runner up was Madison Towe (Seneca FFA); and 4th runner up was Abigail Krasslet (Swansea FFA).